Post graduate in Library Science with at least ten years experience of supervisory position in institutes of higher education or reputed organizations. Hands-on experience of digitization of the library, RFID, on-line resources, e-books, e-journals, purchase procedures, etc. shall be desirable qualifications. Suitable candidates may be placed in PB-III, with Grade Pay of Rs.6600/Rs.7600, commensurate with existing present salary of the candidate, as per Government of India and NID norms. 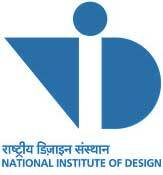 Interested candidates may download the prescribed application form from the www.nid.edu website and apply within 10 days from the date of advertisement (from 22.06.2011) to The Secretary & Head, General Administration, National Institute of Design, Paldi, Ahmedabad -380 007 or e-mail at admin@nid.edu . Last Date: 10 days from 22.06.2011.